2017 proved a significant year for the roofing industry. Not only was optimism high and demand still on the uptick in both the new construction and re-roofing marketplaces, but when The Tax Cuts and Jobs Act of 2017 passed in December last year, it marked a huge victory for those involved in roofing. The tax reform essentially opened the door for a series of tax related benefits likely to boost business in 2018 and beyond. There are a few key areas of the tax reform applicable to roofing entities. One of the key sections — IRC Sec. 179 expensing provision (deduction) — intends primarily to benefit small businesses who can purchase equipment, then write-off the amount of those purchases during the same calendar year. For 2018, qualifying property purchases include most business equipment such as computers, certain vehicle types, virtually all construction equipment and machinery. Perhaps one of the most notable aspects of IRC Sec. 179, however, is that the qualified property listed under it now includes non-residential roofs. Hailed as a huge win, the new limit on the total amount of Sec. 179 property that a business can purchase each year before being totally phased out is $2.5 million (up from the previous $2 million), and the annual limit for the deduction itself has been raised to $1 million (up from $500,000). A property owner is now able to write off up to $1 million the same year that a commercial roof is purchased. Additionally, the $1 million annual deduction and $2.5 million business investment limit are now permanent and indexed for annual inflation starting in 2019. 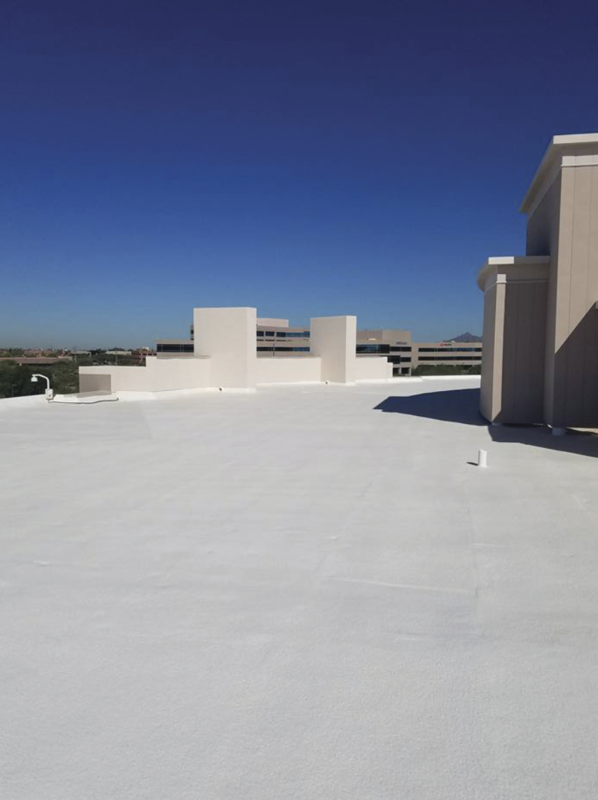 “The commercial roof inclusion in the tax reform is likely to spur increased sales and installations of new roofs this year, and we want our members making the most of the opportunity,” adds Riesenberg. There was one tradeoff made in order to make commercial roofs eligible for Sec. 179 — the elimination of the deduction for the interest on loans to finance the purchase. However, it’s still a significant benefit for contractors able to leverage IRC Sec. 179’s equipment purchase write-off. Another key area of note is IRC Sec. 168(k) — the Bonus Depreciation Deduction — which the act raises to 100 percent for qualifying new and used property acquired, and placed in service, after September 27, 2017 and before January 1, 2023. Property with a depreciable tax life of 20 years or less generally qualifies and includes: machinery and equipment, furniture and fixtures, computers and computer software, and vehicles utilized primarily for business (with a dollar cap on cars and trucks with a loaded vehicle weight of 6,000 pounds or less). More broadly, the tax rate for C corporations, or the corporate tax rate, was cut through the new reforms to 21 percent (from 35 percent). Also of note to many roofing contractors and contractor firms, pass-through entities organized as S corporations, partnerships, LLCs and sole proprietorships now receive a 20 percent deduction on taxable income up to $157,000 or $315,000 if filing jointly that is phased out at $207,500 or $415,000 respectively. Many contractors are structured as pass-throughs and pay their business taxes on individual returns, so it also helps that the top individual rate has been lowered from 39 to 37 percent. However, the rules for pass-throughs are complex and consulting with a tax expert is encouraged. For contractors that are family businesses, the new tax code doubles the estate tax exemption so that estates of up to $11 million ($22 million for couples) are now exempt from taxation. In addition, the Alternative Minimum Tax (AMT) exemption and phase-out amounts for individuals have been sharply increased. Finally, in a separate bill, Congress renewed the Residential Energy-Efficiency Tax Credit (IRC Sec. 25C), the Energy Efficient New Home Tax Credit (45L), and the Commercial Building Tax Deduction (179D). While renewed retroactively only for tax year 2017, the door remains open for these incentives (tax extenders) to be renewed for 2018 and beyond. If you are a contractor in the construction industry, there is a chance that a person who isn’t on your payroll is legally considered to be your employee. If you meet the above description and you operate in North Carolina, South Carolina, Virginia, West Virginia, or Maryland, there is a particularly good chance that’s the case. You might be thinking this is because of employee misclassification — which occurs when laborers are wrongly classified as independent contractors instead of employees. But that isn’t the whole story. Increasingly, unanticipated employer liability occurs not because of employee misclassification, but instead due to joint employment — a related but totally distinct issue. This is happening because the definition of what constitutes employment, and joint employment particularly, has become increasingly broad in recent years. Many courts expanded the definition in response to stricter guidelines the Department of Labor’s Wage and Hour Division set forth during the Obama presidency. But this is perhaps most apparent in the Southeast, where, in January 2017, the Fourth Circuit Court of Appeals expanded the definition of joint employment in Salinas v. J.I. General Contractors, Inc. The Salinas decision, along with Hall v. DirecTV, a case involving employee misclassification decided the same day, predate the Department of Labor’s June 2017 rollback of the Obama administration’s restrictive guidelines. However, despite any efforts by the Trump administration to curtail the expanding joint employment doctrine, the Salinas and Hall decisions still control in the Fourth Circuit — and case law in other jurisdiction still controls as well. It’s unclear whether a change in the law is in store anytime soon; however, in January, the United States Supreme Court declined to hear DirecTV’s appeal in the Hall case. The Salinas court found that a general contractor was considered the joint employer of its subcontractor’s employees and therefore that the general contractor was responsible for wage violations under the Fair Labor Standards Act (FLSA). The Salinas decision and the new standard it set for joint employment represent a significant change from the more than 30-year precedent on joint employment. This means contractors — and other entities who could be considered joint employers — need to understand the risks involved in joint employment and try, to the extent possible, to manage that risk. So, what is joint employment? It generally occurs in two scenarios: horizontal joint employment and vertical joint employment. Vertical joint employment is the type at issue in Salinas and the type more likely to be applicable in the construction industry. The typical scenario is one where a contractor arranges or contracts with an intermediary employer to provide the contractor with labor in certain scenarios — in essence, the contractor-subcontractor relationship. Vertical joint employment can also arise when a contractor or subcontractor contracts or engages with a staffing company to provide it with laborers for a certain project or merely to carry out certain employer functions, like administering payroll and benefits. If a general contractor and subcontractor agree — or if they operate in such a way — that the contractor has the authority to direct the subcontractor’s employees, set their schedules and work assignments, enforce project site rules, and/or supervise their employees, this factor would support a finding of joint employment. Similarly, if a subcontractor contracts with a staffing firm for laborers and the subcontractor has the authority to set workers’ hours and locations, and/or dictate how they perform their work, the subcontractor is probably a joint employer. When this factor is applied, any contractor who is authorized to assign a subcontractor’s or staffing firm’s employee to a particular project — or remove the individual from a project site — will likely be considered a joint employer of that individual. Many general contractors establish long-term working relationships with certain subcontractors and/or staffing agencies and work with the same companies repeatedly on many jobs. These contractors are at risk of being found to be joint employers. Likely at an even higher risk are contractors that have few to no employees on their payroll and instead retain all of their workers through an intermediary, such as a staffing firm. These contractors may believe that using staffing firms reduces or eliminates their liability under federal and state employment laws. While it might allow these companies to delegate administrative functions like administering payroll and benefits, the law in the Fourth Circuit won’t allow them to avoid much liability. This scenario is perhaps less common than the others but appears to apply when a contractor controls a subsidiary or affiliate. The contractor could be considered the employer of the subsidiary, affiliate, or indirectly owned entity. Most general contractors or construction management firms are obligated to control and supervise the project site. This factor, as applied to such firms, would establish them as joint employers of subcontractors’ and staffing firms’ employees. This factor pertains to the above scenario where entities try to delegate certain employer functions to staffing agencies. Virtually every staffer/client agreement is one where the parties “jointly determine” who has what responsibility for these functions. Even if the staffing agency is in charge of screening, payroll, workers’ compensation, and benefits, if the client performs any employer functions — like supervision, hiring, firing, and/or providing instructions, tools, or materials — then the client will likely be seen as a joint employer. If a court within the Fourth Circuit is faced with any federal employment issue and a joint employment question exists, it will consider the above factors. Such a court would then likely analyze whether the laborers in question are employees or independent contractors — another, separate test. But the Salinas factors alone are enough to cause concern for most contractors who contract for labor. Because the above factors apply regardless of the terms of any subcontract or staffing agreement, consulting with counsel about how to better draft those agreements is only one step for contractors who are concerned about expanded liability. They also need to consult with counsel about the way they conduct business and whether it still works in light of the expanded joint employment doctrine. Otherwise, they should understand that they may have more employees than they realized. The recently enacted Tax Cuts and Jobs Act (TCJA) is a sweeping tax package. Everyone in business — including roofers — should have at least a passing knowledge of what to expect beginning in tax year 2018. Most of the changes are effective for tax years beginning in 2018 and lasting through 2025. Tax rates — personal and corporate. The new law imposes a new tax rate structure with seven tax brackets: 10 percent, 12 percent, 22 percent, 24 percent, 32 percent, 35 percent, and 37 percent. The top rate was reduced from 39.6 percent to 37 percent and applies to taxable income above $500,000 for single taxpayers and $600,000 for married couples filing jointly. The corporate income tax rate used to be graduated with a maximum cap at 35 percent. It was reduced to a flat 21 percent. The corporate tax rate reduction puts the United States in line with most of the rest of other developed nations. The reduction is designed to increase spending, increase jobs, increase employee salaries, foster corporate improvements, and continue to incentivize the overall economy. Standard deduction. The new law increases the standard deduction to $24,000 for joint filers, $18,000 for heads of household, and $12,000 for singles and married taxpayers filing separately. Given these increases, many taxpayers will no longer be itemizing deductions. These figures will be indexed for inflation after 2018. Exemptions. The new law suspends the deduction for personal exemptions. Thus, starting in 2018, taxpayers can no longer claim personal or dependency exemptions. The rules for withholding income tax on wages will be adjusted to reflect this change, but IRS was given the discretion to leave the withholding unchanged for 2018. New deduction for “qualified business income.” Starting in 2018, taxpayers are allowed a deduction equal to 20 percent of “qualified business income,” otherwise known as “pass-through” income, i.e., income from partnerships, S corporations, LLCs, and sole proprietorships. The income must be from a trade or business within the United States. Investment income does not qualify, nor do amounts received from an S corporation as reasonable compensation or from a partnership as a guaranteed payment for “services” provided to the trade or business. In other words, lawyers are out of luck! The deduction is not used in computing adjusted gross income, just taxable income. For taxpayers with taxable income above $157,500 ($315,000 for joint filers), (1) a limitation based on W-2 wages paid by the business and depreciable tangible property used in the business is phased in; and (2) income from the following trades or businesses is phased out of qualified business income: health, law, consulting, athletics, financial or brokerage services, or where the principal asset is the reputation or skill of one or more employees or owners. Child and family tax credit. The new law increases the credit for qualifying children (i.e., children under 17) to $2,000 from $1,000, and increases to $1,400 the refundable portion of the credit. It also introduces a new (nonrefundable) $500 credit for a taxpayer’s dependents who are not qualifying children. The adjusted gross income level at which the credits begin to be phased out has been increased to $200,000 or $400,000 for joint filers. State and local property taxes. The itemized deduction for state and local income and property taxes is limited to a total of $10,000.00 starting in 2018. Mortgage interest. Under the new law, mortgage interest on loans used to acquire a principal residence and a second home is only deductible on debt up to $750,000, starting with loans taken out in 2018. This sum is down from $1 million. There is no longer any deduction for interest on home equity loans, regardless of when the debt was incurred. Miscellaneous itemized deductions. There is no longer a deduction for miscellaneous itemized deductions which were formerly deductible to the extent they exceeded 2 percent of adjusted gross income. This category included items such as tax preparation costs, investment expenses, union dues, and unreimbursed employee expenses. Medical expenses. Under the new law, for 2017 and 2018, medical expenses are deductible to the extent they exceed 7.5 percent of adjusted gross income for all taxpayers. Previously, the adjusted gross income floor was 10 percent for most taxpayers. Casualty and theft losses. The itemized deduction for casualty and theft losses has been suspended except for losses incurred in a federally declared disaster. Overall limitation on itemized deductions. The new law suspends the overall limitation on itemized deductions that formerly applied to taxpayers whose adjusted gross income exceeded specified thresholds. Moving expenses. The deduction for job-related moving expenses has been eliminated, except for certain military personnel. The exclusion for moving expense reimbursements has also been suspended. Health care “individual mandate.” Starting in 2019, there is no longer a penalty for individuals who fail to obtain minimum essential health coverage. Estate and gift tax exemption. Effective for decedents dying, and gifts made, in 2018, the estate and gift tax exemption has been increased to roughly $11.2 million ($22.4 million for married couples). A lot of the details of the simple descriptions listed above remain to be completely formalized, and some of it may still change. Stay aware of the tax revisions and consult with an attorney in your locale if you have any questions. Walk in 40 doors a day. Make 40 calls a day. Hand your business card to everyone. Gather as many business cards as you can. While this is a lot of activity and can look good on a sales report, it isn’t usually productive. And it shifts the goal from getting business to participating in a specific behavior. This usually happens because the owner or sales manager found great success using these methods. That’s great for them! But it doesn’t mean everyone is going to be successful doing it that way. sIn addition, today’s business environment doesn’t really offer a welcoming landscape for this kind of behavior. The consumers are very well educated and are really looking for someone they trust. The salesperson is better off working on relationship building rather than tallying the number of doors knocked. Many companies with this philosophy have a lot of turnover in the sales department. And do you know why? Because people join the company with the best of intentions and in many cases a great method for gaining sales. When they discover that they can’t implement their method, but rather have to engage in behavior that doesn’t work for them, they don’t hit their sales goals. So, they leave — either voluntarily or by request. Either way, it’s not good for the company. The cost alone of bringing on a new employee is significant. Think about it. You’ve got to run ads, sift through resumes, interview, hire, onboard, train, and then exit. Go ahead and put dollar values on each of those items, then add them up. Now include the lack of sales into the cost. All the business you didn’t do! It’s an expensive proposition. Another key concern is the image that develops of the company in the community. Think about things from the prospect or client’s point of view. If, every time they turn around there’s a new salesperson introducing themselves, you’re telegraphing instability within your company. Is that really the message you are trying to send? Customers want confidence that the salesperson they’ve grown to trust will be there for more than a hot minute. If they keep seeing new salespeople, their trust goes down. That’s never good. So, I ask you, which is more important? I’d say No. 2. And if that really is more important, then it doesn’t matter how it is done — as long as it is moral, legal, and ethical. Sales managers would be better off sharing the vision and the goals of the company with their sales staff while leaving the sales strategy to each salesperson. Empower the sales team to develop their own process and then monitor their results. Give them the resources they need to be successful. Be there for them when they need advice, or training. And communicate with them on a regular basis about their results. As long as the results are there, the process shouldn’t matter. Think about why you hire someone. Is it because you believe they have the skills and personality necessary to succeed at sales? Probably. And if so, don’t you owe it to them to trust them to do the job? Whenever we tell someone how to do something, we’re really saying that we don’t trust them to do it right. There’s a confidence killer! It’s like hiring someone for their great attitude and then squashing that attitude. Makes no sense. Respecting the sales staff means talking with them, not at them. It means listening to what they have to say, respecting their ability, and expecting them to deliver. Period. The best way to disrespect the sales staff is to tell them to do things your way. Then you are telling them that you don’t trust them to do it right, or well, or successfully. Believe me when I tell you, you won’t get what you are wanting if you engage in this sort of “management.” Instead, lead your team. Help them be the best they can be. After all, sales is about relationships, not dialing for dollars. Let your salespeople network and develop relationships with referral partners, prospects, and clients. Their time will be better spent, the results will be there, and everyone will be happier. If one of the salespeople decides to make 40 calls a day, great! That is their preferred method. It should be more important to make sure your salespeople have a strategy that makes sense to them than to have a strategy that only makes sense to the sales manager. Whether they like them or not, most subcontractors and contractors have used American Institute of Architects (AIA) standard form contract documents at some point in their careers. Several options exist for those wanting to utilize standard form documents, like ConsensusDocs, Design-Build Institute of America, and the Engineers Joint Contract Documents Committee forms. However, the AIA, being founded in 1857 and having published standard form construction contracts for more than 100 years, is the most established of these organizations, and its form contracts are still the most prevalent and most commonly used forms for commercial construction projects in the United States. The AIA updates its forms every 10 years and completed its most recent revision in late April 2017. The updates included revisions to several forms in its A-Series (Owner/Contractor Agreements), including its widely used General Conditions (AIA Form A201) and its standard Contractor/Subcontractor Agreement, AIA A401. While these are only a few of the AIA’s updates, these changes may be particularly pertinent to subcontractors and those working in the roofing construction industry. Some highlights of the 2017 updates to A401 follow here. Both the Contractor and Subcontractor are now required to designate (in the space provided in Section 14.2) an individual who will serve as each party’s “representative” for the project. This requirement is set forth in Section 3 for the Contractor and Section 4 for the Subcontractor. Parties are permitted to change their designated representative only if they provide 10 days’ notice. This is significant for both parties because the updated form requires that notices — for example, notices of a party’s potential claim arising from the subcontract — must be made in writing and are valid only if served upon the designated representative. The new form allows notices to be made via e-email or other electronic means only if an electronic method is set forth in Section 14.4.3. Parties should remember not only to designate a point person who is prepared to serve as a project representative and an email address for notices, but they should also ensure that the other party has done the same. Failure to do so could result in notices not being made by the proper means and to the proper individual — which in turn could result in parties waiving potential claims. Although it has long been a standard practice (both on AIA projects and elsewhere) for the Contractor to include the prime contract as an exhibit to the subcontract, the updated form takes this a step further and requires the prime contract to be attached to the subcontract as “Exhibit A.” If Subcontractors hold Contractors to this requirement, Subcontractors will be able to review all of the contract documents with greater ease before signing. Furthermore, Section 3 requires Contractors to “render decisions in a timely manner and in accordance with the Contractor’s construction schedule” and to “promptly notify the Subcontractor of any fault or defect in the Work under this Subcontract or nonconformity with the Subcontract documents.” However, in Sections 3.4.4 and 3.4.5, the phrase “written notice” has been changed simply to “notice” with respect to the Contractor’s requirement to notify the Subcontractor of defective work as a prerequisite of finding the Subcontractor to be in default. Section 14 still clearly states that all “notices” must be made in writing to the designated representative. This change could result in debate over what Contractors must do in order to notify Subcontractors of defective work before they avail themselves of remedies for breach, such as withholding subcontract payments. Contractors also now have additional duties to provide Subcontractors information they may need in order to preserve their lien rights. Section 3.3.6 previously required Contractors to provide Subcontractors “a correct statement of the record legal title to the property … and the Owner’s interest therein.” The revised A401 now requires the Contractor to request this information from the Owner if the Contractor does not have it and give the Subcontractor the information upon receipt; a corresponding section in AIA A201 requires the Owner to provide it to the Contractor. The above requirement to submit lien information is perhaps balanced by revised Section 11.1.10, which provides Contractors additional rights to indemnification from certain lien claims. “If Contractor has paid Subcontractor in accordance with the Agreement, Subcontractor must defend and indemnify the Contractor and Owner from liens and claims from lower tier subcontractors and suppliers, including being required to bond off liens,” the new form states. Another noteworthy change concerns alternates — alternatives to a base bid that provide for a change in the level of quality, or scope of the work specified in the base bid. Alternates provide the owner with the option to modify the project by accepting or rejecting the alternate. The newly revised A401 contains a new section, 10.2.2, which allows the parties to list alternates that the Contractor can accept after execution of the agreement. Subcontractors should consider carefully whether it is wise to include alternates under this section. Finally, subcontractors and contractors alike should familiarize themselves with the newly revised Section 11, which concerns progress payments. Sections 11.1.7.1 and 11.1.7.2 break down the calculation of progress payments into separate subsections for additions, deletions, and retainage. This includes additions for construction change directives and deletions to allow for defective work remaining uncorrected (assuming that Contractor has duly notified the Subcontractor of the issue). Other portions of A401 allow for additions and deletions in these scenarios, but they are often conditioned on the owner’s approval and other factors. It remains to be seen whether this section could change normal progress billing procedures. Section 11.7.2 opens the door to retainage options other than the typical arrangement (where the Contractor simply withholds the amount the Owner is withholding). Newly added subsections allow the parties to designate items that are not subject to retainage, as well as set forth an arrangement for reduced or limited retainage. This new section (11.1.8.2) could be a helpful avenue for early finishing trades to propose release of retainage upon 50 percent completion of the project as opposed to substantial completion — or even a way for parties to negotiate the retainage percentage down. The above are just a few highlights of changes to AIA Form A401. For additional information or questions, visit www.aiacontracts.org or email Caroline Trautman at ctrautman@andersonandjones.com. Bonding 101: What Do Roofing Contractors Need to Know About Bonds? In a number of states, roofing contractors need to get licensed in order to perform roofing work. Obtaining a roofer license bond is a common licensing requirement. Not all states require a roofing contractor license and bonding, but contractors may have to get a bond to meet county criteria, too. Even if you’re not new to bonding, the concept of how surety bonds work may be a bit difficult to grasp. However, it’s important to understand the basics if you need to get bonded as a part of your contractor licensing. Besides a legal requirement to fulfill, bonds are also a strong sign for your customers that you are safe to do business with. Being licensed and bonded is one of your advantages on the market. 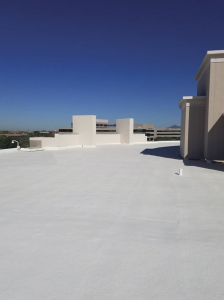 Here’s an overview of the states which require roofing contractors to obtain a bond, as well as the most significant facts about bonding that matter for your roofing business. There is no nationwide requirement for roofing license and bonding. Each state defines its rules regulating roofing specialists. Usually state contractor license boards are in charge of the licensing process. They include roofing as one of the specialty contractor licenses that can be obtained. Additionally, towns and counties may impose their own licensing requirements for contractors operating on their territory. If you want to operate in California, Texas, Minnesota, Oklahoma, Illinois, or Arizona, you will have to obtain a roofing contractor license and bond. The bond amount in Oklahoma is $5,000. In Illinois it is $10,000. California and Minnesota roofers have to obtain a $15,000 bond. Roofers in Texas have to post the biggest bond amount—$100,000. Town and county licensing varies across the country, so it’s best to check with your local authorities about their exact requirements and bond amounts. In some cases, you will need to obtain a general contractor license and bonding, while other licensing bodies will require a special roofing license and bond. Roofer license bonds are a type of contractor license bonds, which are required from a number of construction specialists. As such, they are a contract between your roofing business, the licensing authority, and a surety. The bond provider backs your contractorship and guarantees financially for you in front of the local or state body issuing your license. In order to get bonded, you need to pay a bond premium. It is a small percentage of the bond amount that you have to obtain. The premium is determined on the basis of your financial situation. Your surety provider examines your personal credit score, as well as business finances and any assets and liquidity. That’s how it can assess how risky your profile is. If your finances are in good shape, your bond premium is likely to be in the range of 1 percent to 5 percent. For a $15,000 bond, this can mean a bond price of $150-$750. To reduce your bond premium, you can work on improving your credit score and financials before you apply for the bond. As you need to stay bonded throughout your licensing period, you can decrease your bond cost with every bond renewal. Licensing authorities require a surety bond from roofing specialists in order to exercise a higher level of control over their operations. The purpose of the bond is to protect your customers. However, it does not protect your business like insurance does, for example. It ensures your compliance with relevant laws by providing an extra layer of guarantee for the general public. In practical terms, this means an extra assurance that you will perform the contractual roofing work you have committed to. In case you transgress from your contractual and legal obligations, the bond can provide a financial compensation for an affected party via a claim. Such situations include not completing the work you have agreed to in a contract, delaying the completion, delivering low-quality work, or similar issues with performing your contractual agreements. If a claim against you is proven, you are liable to reimburse the claimant up to the penal sum of your bond. If your bond is, say, $15,000, that’s the maximum compensation that can be claimed. At first, your surety may cover the claim costs. This is the immediate protection for consumers who have been negatively affected by your actions. However, your responsibility under the bond indemnity agreement is that you have to repay the surety fully. This means that the surety bond functions similarly to an extra line of credit, which is extended to your business temporarily. Bond claims can be quite costly for your business, not only in terms of finances, but also by harming your reputation as a professional in the field. The wisest course of action is to avoid them. Roofing contractors in a number of states have to obtain a surety bond as a part of their licensing. If you’re launching your business as a roofer, make sure to check with your state authorities about the requirements you have to meet. This will ensure your legal compliance, as well as a smooth start in your trade. About the Author: Todd Bryant is the president and founder of Bryant Surety Bonds. You have 168 hours each week to design your life. You use some of the hours for sleeping, some for exercising, some for eating, some for showering, some for work, and some for family—but when you run out of your 168 hours, you are out! Time is the one commodity you can’t create more of. Once it is gone, it is gone. You can always make more money; you can’t make more time. Or can you? You are limited in what you can accomplish each week by the mere fact you only have 168 hours. However, there is no limit to what can be accomplished each week if more people pitch in to help. When you effectively delegate some tasks, it’s like adding 10, 20, 40, 80, 800 hours to your week. It’s almost as if you are creating more time each week. When I work with clients, one of the first things they share with me is they just aren’t sure what they can delegate. They admit that delegating, in theory, makes sense. However, they aren’t sure how to apply it to their business. There isn’t a “one size fits all” solution to the delegation challenge. However, there is a process you can follow to find a solution that works for you. You can determine which tasks to delegate by following a three-step process represented by the acronym A.W.E. A—Awareness. What are some of the tasks currently on your plate? W–Work. How do you decide which tasks to delegate? E–Evaluation. What worked and how do you do more of it? Get ready to delegate! The following exercise will take about 20 minutes to complete–and the payoff is you’ll gain a minimum of three hours of you do it effectively. That’s pretty good ROI on 20 minutes, wouldn’t you agree? Awareness: The exercise begins by defining what is important and determining what is on your plate. Step #1: List your top 3 goals. Step #3: Next, list all the things that you “don’t have time to do.” What are the tasks you put off because you don’t like doing them? What are the tasks you are waiting to start until the “timing is right”? Step #4: Pull out to-do list out from the last week and your to-do list for next week. Work: At the next stage, you can start to narrow down the tasks you can delegate. Step #6: You are almost finished with the exercise now! Put a smiley face next to all the tasks that line up directly with your Zone of Genius. Step #8: Delegate at least three of these tasks. Evaluation: Determine how effectively each task you delegated was completed and how much time it saved you. Do more of what works! When you can do more of what works and less of what doesn’t, life becomes much easier. Yet many people forget to slow down long enough to think through what is working. Take 10 minutes to check back at the end of the week and ask yourself these questions: Who was a great delegating resource? What tasks were easy to let go of? What tasks do you want to outsource next? Where were the struggles? How can you fine-tune the process? Congratulations! You have at least three tasks circled. Start delegating and start increasing the number of hours you have available each week to accomplish your goals. Remember, this process is not a one-and-done kind of thing. To be effective, as your tasks and goals change, the evaluation process becomes more important. Regular process improvement means you are always on task for your Zone of Genius! Read on to learn simple tips and advice on how to effectively promote your roofing business on Facebook. It’s important to note why it is relevant to establish and maintain a presence for your business on Facebook. First and foremost, your customers are already active on the platform. Facebook continues to be the most popular social media platform, as cited by the Pew Research Center, where 79 percent of online adults have a profile. In fact, the number of Facebook users is more than double the number of people who use other social platforms, such as Instagram (32 percent), LinkedIn (29 percent), Twitter (24 percent) or Pinterest (31 percent). Plus, establishing and maintaining a Facebook page can also be beneficial in driving visitors to your website. In fact, search engines tend to reward businesses with a strong social following through higher organic rankings. In other words, the more people who are engaged with your company on Facebook, the better odds your business will show up sooner in a potential customer’s search results for a local roofing contractor. Further, the platform is also a great way to create a sense of connection with your internal team. For instance, Facebook can be used to showcase your company culture, share news and engage with your own employees—especially if you’re a large contractor with multiple locations. Profile setup: Building a solid foundation of followers begins with setting up your profile correctly. Be sure to set up a Business Page instead of a personal Facebook page. This way, current and future customers can “like” your page, or become a fan, and keep up-to-date on the latest news from your company. Also, it’s important to have a profile image and cover art (the large image at the top of the page), as well as complete details about your business on the “About” page, including a description of your business, location, contact information, services offered, hours, website and more. If you already have an existing account that was set up as a personal profile, you can convert it into a business page at facebook.com/business. Content sharing: Once your page is set up, it’s time to start sharing content. Begin with one or two posts per week, and then gradually start increasing your posting schedule as you gain a more established following. Think of Facebook as an extension of your website to tell customers more about your business in an inviting and personal, but still professional, atmosphere. Looking for content ideas? Think about sharing your knowledge and expertise: your project work! Take before-and-after photos of projects that showcase a new roof installation or repair. Or if it’s a long-term project, document it each day with photos or videos that explain the installation process you’re undergoing, the products you’re using and more. Make sure you have your customer’s consent before posting details or pictures about any project. Also, do you have a company blog on your website? If so, share out individual posts with a “teaser” on the details the article contains, along with a link back to the specific post. This helps to establish your credibility as a knowledgeable professional, but can also help to drive potential customers back to your website to learn more. If you’re still working to set up your company blog, another option is to publish a “Note” from the left sidebar of your Facebook business page. This long-form Facebook post is a great alternative while you work toward setting up your blog online. You can also consider sharing links to blog posts from a manufacturer whose products you use. They often provide helpful blog articles with tips and advice for both contractors and homeowners—so you may even find something of value to you in the process! Lastly, you can use your page as a way to share positive customer testimonials in the form of photos and videos. Again, it’s important to ensure you first have your customer’s consent before sharing their testimonials. Be sure to also encourage your satisfied customers to submit their own Facebook reviews for a job well done. These reviews allow them to share their experiences and rate your performance directly on your Facebook page, which can help facilitate future business and leads. Facebook can also be used as a means to share company promotions, special holiday or seasonal incentives, and events you may be hosting or attending. Page promotion: As you start to proactively post useful content, you’ll begin to establish a following on your page. However, there are also several paid promotion tactics you can use to increase your page’s reach and engagement. One popular paid tactic is a pay-per-click (PPC) campaign, which is a form of advertising where you pay a set amount each time someone clicks on an ad you’ve produced. Determine what you would ultimately like users to do, and create a post or simple ad that prompts them to take that action. For example, you can drive homeowners to visit your company website, provide their contact information for a free quote, like your Facebook page, download a coupon and more. If you have a particularly interesting post that has been performing well on your page (maybe it has received a lot of positive comments, for example) and you’d like it to reach even more people, consider “boosting” or sponsoring that post. This means putting a set amount of money behind promoting a post, say $100, to expand its reach. Geo-targeting, or selecting a specific audience and geography you’d like to reach, helps amplify your message to the right people—your targeted customers. Avoid using text in your images for paid posts or campaigns. Facebook guidelines reduce the reach of these images as the system considers them too “spammy” or ad-centric and cluttered. In many cases, image text could prevent your promotion from running entirely. Frequently posts project testimonials and before-and-after photos, along with job site videos that explain roofing processes to homeowners. Consistently responds to questions/comments posted on the page. Uses Facebook (and linked Instagram account) to promote business rather than a traditional website. Collects and displays several homeowner reviews on its Facebook page (more than 50 at the time of writing). Shares links to blog posts on the Able Roofing website, which include helpful tips for homeowners related to home improvement, trends and renovation projects. Promotes company news and local events, as well as national holidays. If you’re looking to grow your leads and engage with future customers, using these strategies on Facebook is a great place to start. Also, be sure to check out the IKO blog for even more helpful business tips and advice! Before you stop reading in frustration, know that according to Tim Pychyl, author of Solving the Procrastination Puzzle, everyone procrastinates. So, you are not alone! The question really becomes, how do you overcome your procrastination? There isn’t a “one size fits all” solution to the procrastination challenge. However, there is a process you can follow to find your solution. A – Awareness. What are some of the tasks you procrastinate on most often? W – Work. What are some strategies to help put yourself in motion? E – Evaluation. What worked and how do you do more of it? Let’s start with awareness. What are some of the tasks that typically cause you to procrastinate? Do you avoid invoicing clients? Or posting on social media? Or sending estimates? Or evaluating employees? Or doing customer service follow-up calls? Or meeting with your accountant? Or creating a marketing plan? Or creating a business plan? Start to really think about the tasks you put off. Now that you have a good idea about what those tasks are, it’s time to create a strategy to overcome procrastination. This is the work phase. Which trait corresponds to your task? Do you procrastinate when it comes to invoicing clients because you find paperwork boring and frustrating? Do you put off evaluating employees because you find conflict (or perceived conflict) difficult? Have you decided that you’ll do a marketing plan next year (or the year after that) because the whole idea is ambiguous and you don’t even know where to start? Once you can identify the trait that’s holding you back, you can create a strategy to help move yourself into action. If a task is boring, make it fun. (OK, maybe paperwork won’t ever be fun, but it can be less boring.) Play music loud, challenge yourself to finish the task in under 20 minutes, and reward yourself when it is done. If creating a marketing plan seems ambiguous, add some structure to it. Talk it out with some colleagues. Consult with a marketing professional. Do some reading on marketing plans. Decide what your goals are for the plan. Figure out just one step. Once you’ve identified even one step, it becomes much easier to move into action. Finally, evaluation. When you can do more of what works and less of what doesn’t, life becomes much easier. Yet you seldom take the time to slow down long enough to think through what is working! Take 10 minutes to check back at the end of the week. Which strategies worked? Where are you procrastinating less? Where do you still need to problem solve? By following the steps spelled out in A.W.E., you will be able to reduce the amount of time you procrastinate and increase your capacity to accomplish more in less time. Which leaves you with a lot more time to do all those things you love to do!